While some say plastic parking barriers are used where functionality is preferred over aesthetics, security over image – we say why not have BOTH? 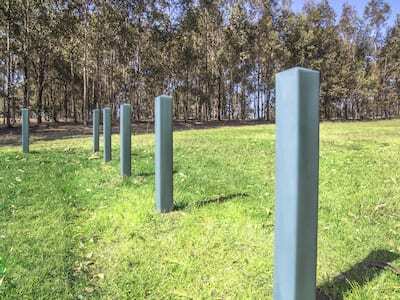 Our recycled plastic bollards are available in various designs and colours, made according to your specific requirements, so that they not only deter unwanted access with maximum reliability, they also complement the landscape and overall design of your property. 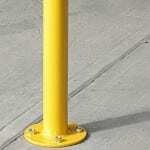 Plastic bollard parking barriers are ideal for light to medium security fencing applications. 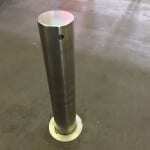 Made from 100% recycled plastic, these bollards are great sustainable alternatives and provide property protection in terms of managing pedestrian and vehicular admittance. 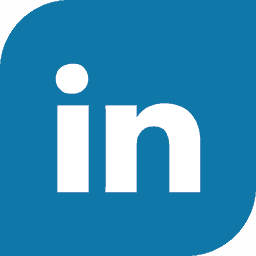 Plastic does not easily succumb to external elements and does not require a great deal of maintenance. 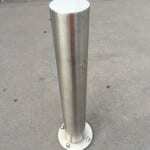 The most common material for manufacturing plastic bollards is polyethylene, which offers protection against damage to the bollard finish and integrity caused by the sun’s UV rays. 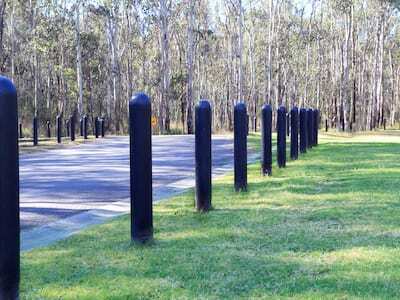 To inquire about recycled plastic bollards and perimeter security solutions, contact Metal Fencing Specialists today or call us on 1300 904 284.